Hope Castellanos and Lee Mah scored 0.24 masterpoints with a 48.61% game at Sun Lakes Duplicate Bridge Club. See full results of this game. Vivienne Cummings and Hugh Kirkpatrick scored 0.64 masterpoints with a 57.28% game at In Tempo Bridge Club. See full results of this game. 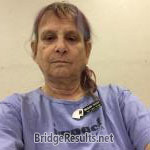 Frank Bost and Patricia Liddle scored 0.98 masterpoints with a 58.66% game at Sun Lakes Duplicate Bridge Club. See full results of this game. Vernon Hoover and Anne Casey scored 0.42 masterpoints with a 55.88% game at Sun Lakes Duplicate Bridge Club. See full results of this game. Frank Bost and Patricia Liddle scored 1.12 masterpoints with a ★60.94%★ game at Sun Lakes Duplicate Bridge Club. See full results of this game. Hope Castellanos and Lee Mah scored 0.96 masterpoints with a 55.57% game at Sun Lakes Duplicate Bridge Club. See full results of this game. Barbara Starr and Emma Lou Banks scored 0.84 masterpoints with a 56.22% game at Sun Lakes Duplicate Bridge Club. See full results of this game. Malcolm Kaiser and Hugh Kirkpatrick scored 0.49 masterpoints with a 50% game at In Tempo Bridge Club. See full results of this game. Barbara Starr and Emma Lou Banks scored 0.46 masterpoints with a 49.84% game at Sun Lakes Duplicate Bridge Club. See full results of this game. Frank Bost and Patricia Liddle scored 0.98 masterpoints with a 59.72% game at Sun Lakes Duplicate Bridge Club. See full results of this game. Jo Levy and Joy Balser scored 3.72 masterpoints with a ★60.23%★ game at Bridge On Shea. See full results of this game.